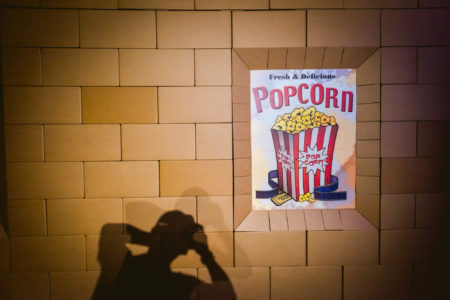 Collect your cardboard ticket from our cardboard-clad usherette, fill your cardboard popcorn cone and enter Hannah Fox’s world, where a delicate handmade animation flickers in the warmth of a fully realised Cardboard Cinema. 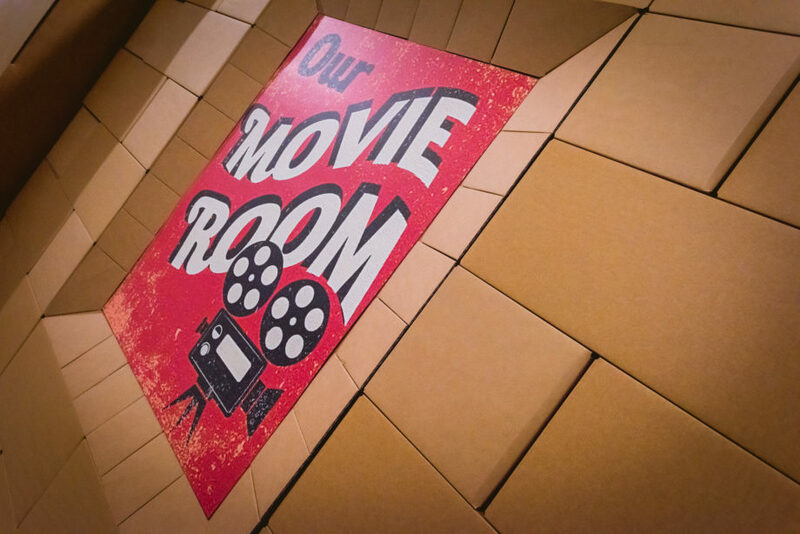 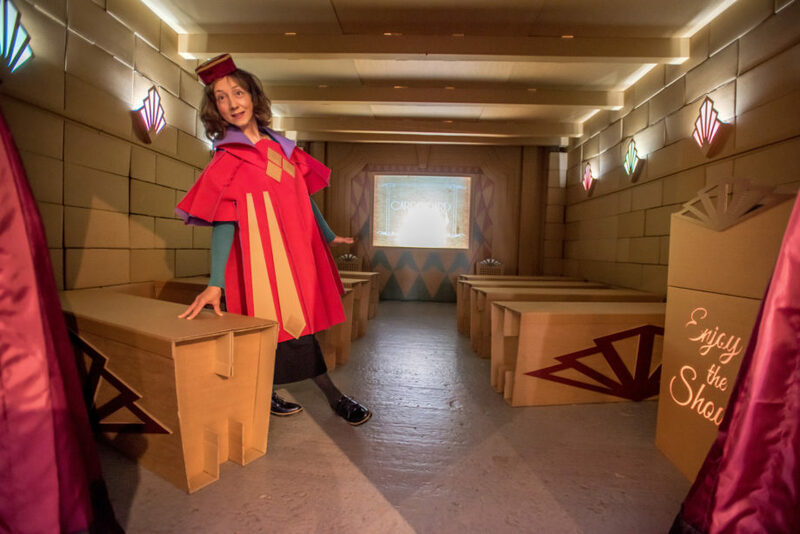 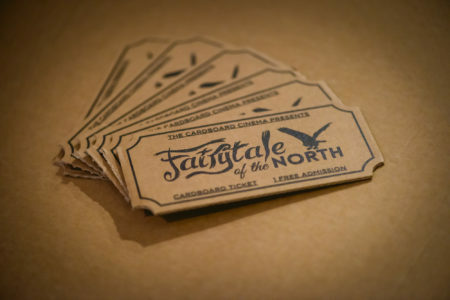 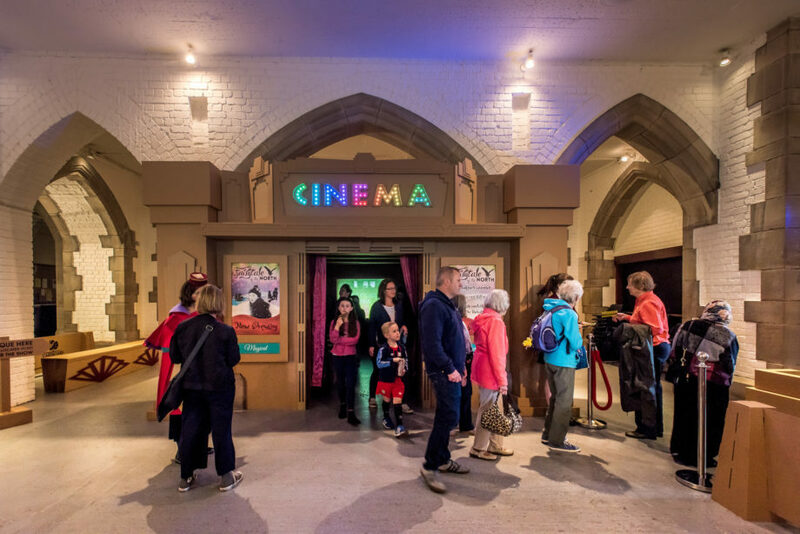 Harking back to the splendid and whimsical wonders of a bygone era – Blackburn once housed an impressive fifteen cinemas – Hannah Fox and the Cardboard Box Company have recrafted a cinema straight out of the golden age. 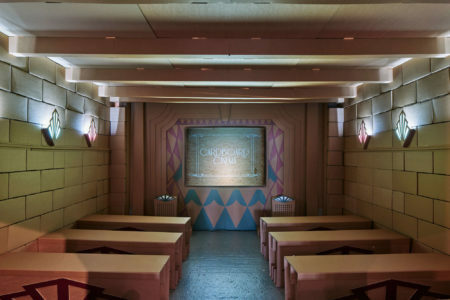 Their installation is suffused with charming detail and dreamy otherworldliness, both intimately immersive and wonderfully playful – it’s a cinematic experience like no other. 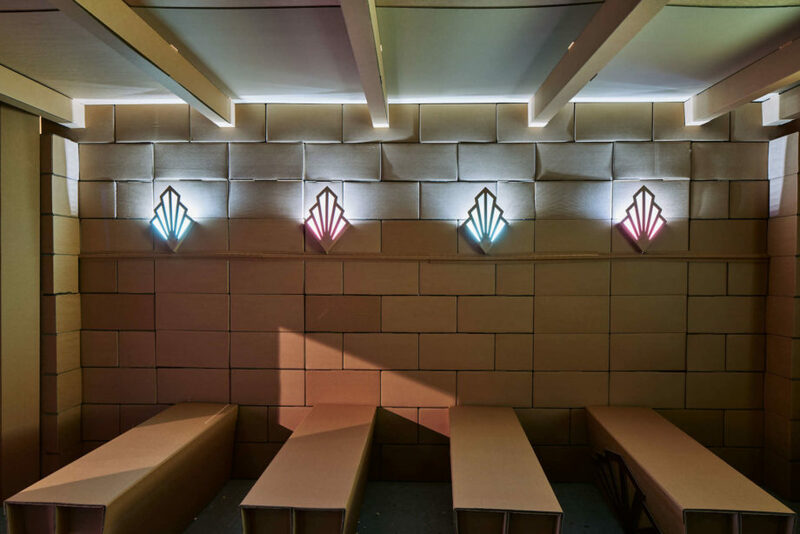 A freelance visual artist who delights in transforming the familiar, Hannah Fox produces imaginative, atmospheric and playful installations, large-scale projections and performances worldwide. 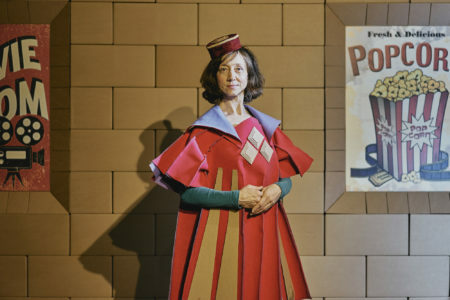 After coming of age on the road with the celebrated arts company Welfare State International she worked as a designer, performer and core member of the radical Dutch Theatre Collective Dogtroep before setting up her own studio in rural Cumbria. 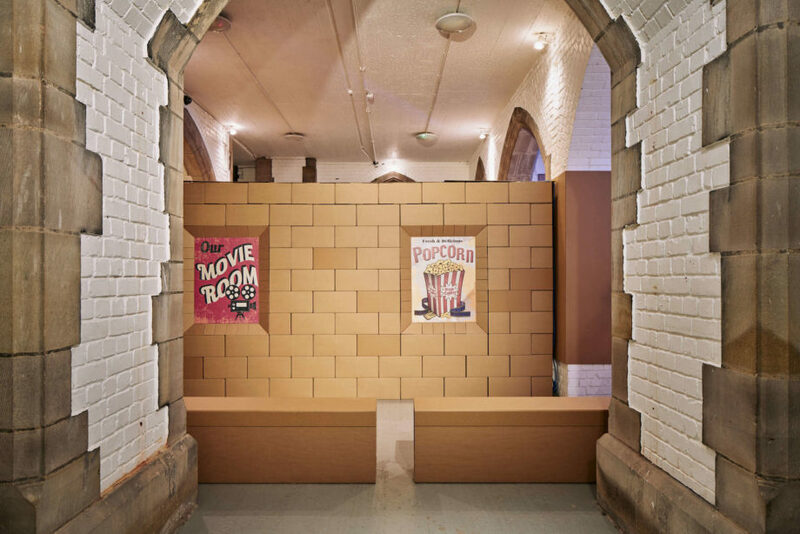 Cardboard Box Company return to the project after last year’s incredible Chromatogram installation. 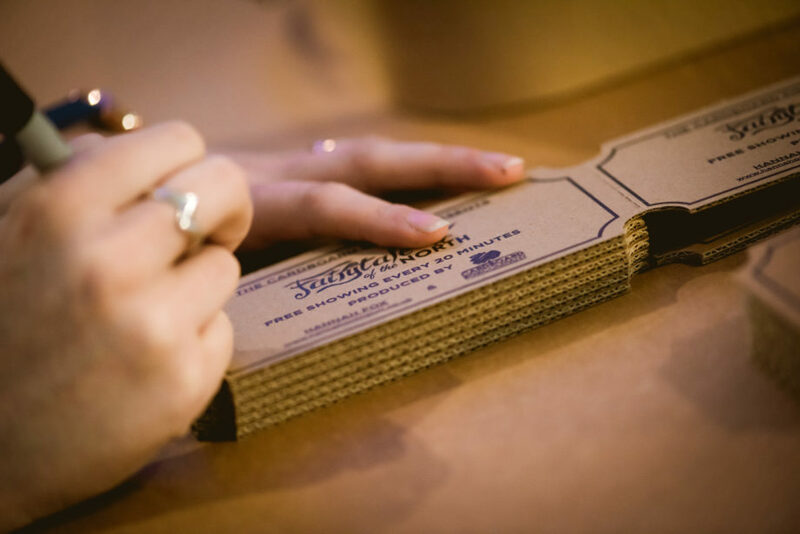 Shortlisted for the Telegraph’s SME of the Year award, the firm designs, prints and manufactures corrugated board for industrial and retail packaging solutions. 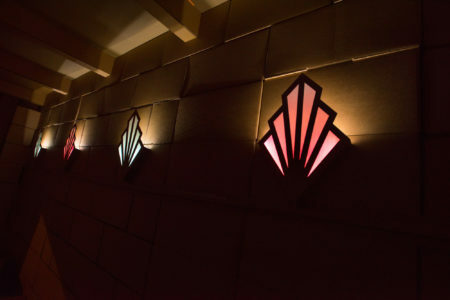 Their state-of-the-art plant has seen fast growth in recent years through a story of investment and invention. 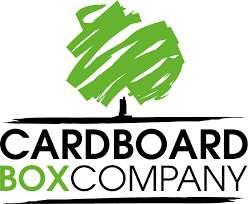 Whilst creating more than 25,000 solutions for customers, they remain an inventive, creative and people-centric company, committed to the local area.